AFTER experiencing a career first earlier this week, astute horseman Robert Caruso hopes the positive run can continue when he heads to Strathalbyn today. Caruso will be represented by promising filly Haveachew which made a successful debut at Globe Derby on Monday. 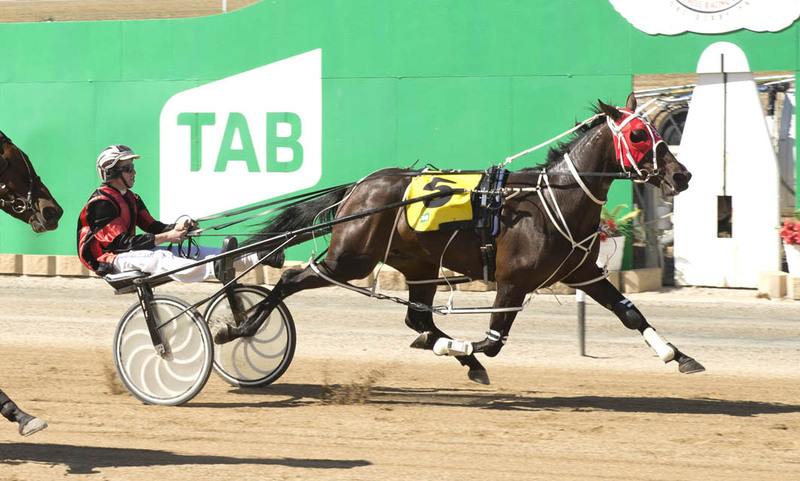 Driven to an easy win by Michael Smith, Haveachew was Caruso’s first debutante! “I’ve been training for 16 years and she was the first horse I’ve given its first start to,” Caruso said. “For her to also win at her debut was perfect. Although drawn barrier five, Haveachew will come from four as a result of a scratching. Pleased with the three-year-old’s progress, Caruso is positive Haveachew can maintain a perfect record. “She went alright the other day and is improving every time she goes around,” Caruso said. “I reckon she will lead from there, which is what she did at her first start when she also drew five, and that will make her hard to run down. “She been a bit of a handful…she’s mad…but she can be if she keeps putting it together at the races. Bred and owned by Tony Llewellyn, Haveachew is from Caruso’s former handy mare Inner Peace.